The Hopa online casino has been around since 2005, and since that date it has been slowly and steadily building its reputation and its portfolio of online casino games. It now boasts a well-designed website with a large library of slots, scratch cards and other types of unique and classic casino game offerings. Hopa doesn’t currently accept players from the United States but otherwise there are no territorial restrictions, and the site is available in five languages as well as English. Security is of utmost importance at the Hopa online casino and the company states on its website that it provides ‘the safest playing experience anywhere online’! While most online casino sites focus on slots as their main offering, Hopa has tried to stand out from the crowd by placing a strong emphasis on scratch cards, the often-forgotten child of the casino world. Scratch cards have become Hopa’s trademark, although it has also increased its selection of slots in order to compete. Hopa boasts one of the largest collection of online scratch cards around. Most sites offer only a handful if any at all, but Hopa has around 40 to choose from including Slot 777, Hit The Bank, Cash Farm and Golden Island. The scratch games cover various themes from sport to casino, so players have plenty of choice. That’s not to say that slot games are neglected at Hopa. There are over 200 to choose from here, from providers such as NetEnt, Amaya and NextGen, ranging from classics like Rainbow Riches and Gonzo’s Quest to newer titles like Guns N’ Roses and Foxin Wins. There’s also a decent selection of table games plus live casino titles. Hopa is renowned for its scratch card offering but it deserves credit for the rest of its other products, too. Its large collection of slots features popular titles from some of the leading software providers while fans of table games and live casino are also catered for. Unfortunately, Hopa doesn’t let players try games for fun without an account. Those who do decide to sign up for an account can enjoy a welcome bonus and can also earn reward points for playing with the VIP programme. 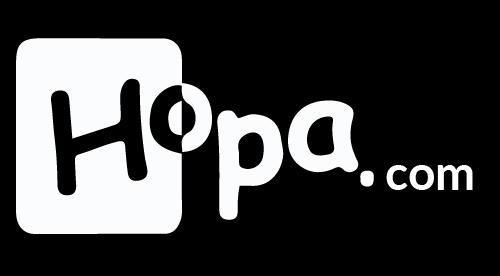 Hopa also offers the same quality gaming experience via its mobile website, so players can access one of the largest collection of online scratch cards, plus much more, wherever they are!